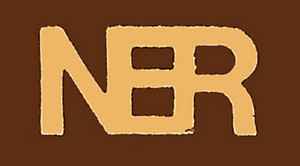 NER (New European Recordings) is Death In June's personal self-produced label. It was started in 1981 to release the band's first output, the "Heaven Street" 12". During the years NER has also produced other artists, such as In The Nursery, Joy Of Life, Boyd Rice And Friends, Strength Through Joy, TeHom, and others. In the 1980s' NER was distributed by Rough Trade UK, in 1990s' by World Serpent Distribution. Due to legal problems between Death In June and WSD, in 2000 the distributor then became Tesco Organisation,Germany which ended 7 years later. Since 2007 the official Worldwide distributors of the NER catalogue are Soleilmoon in America and NEROZ II in Australia. BAD VCPLUS 13P Death In June "Nada Plus!"